The second mantra project I bring you is my signature hand-embroidered mantra workout towels. I love this idea, because your workout mantra is literally staring you in the face when you drape it over your treadmill or elliptical machine. The bright colors and cute crafty look are motivating in themselves...at least to me! These mantras are not only cute, but they're also pretty easy and very inexpensive. 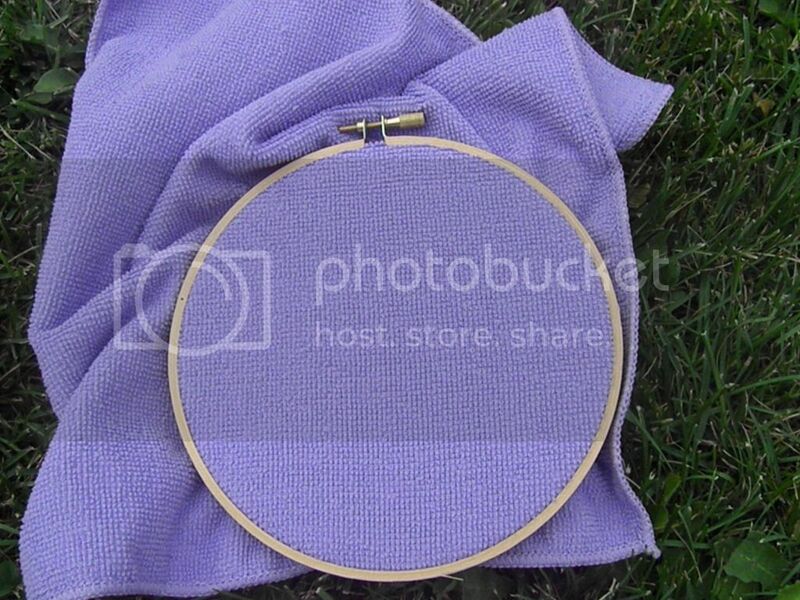 I got my microfiber towels from the Dollar Store and embroidery floss is usually less than a dollar at the craft store. See, if you're resourceful, you can turn anything into something lovely. 1. 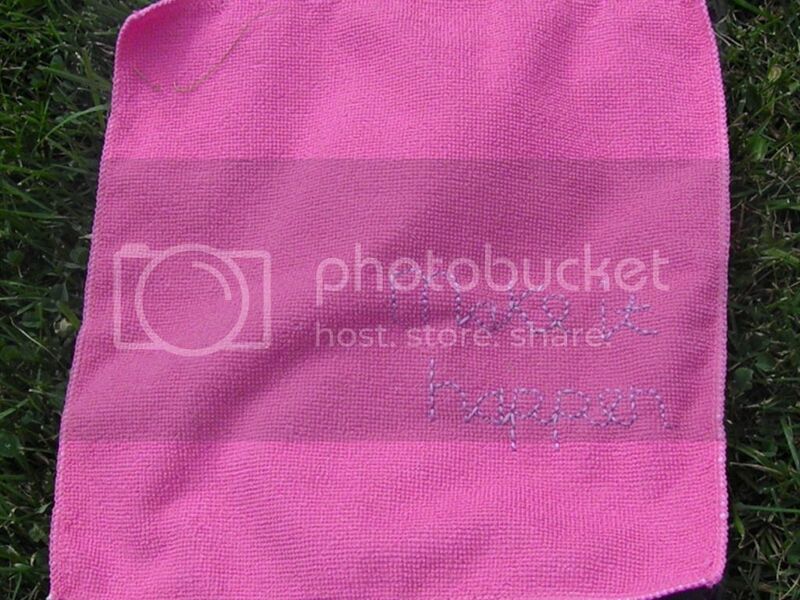 Secure your embroidery hoop around the spot you intend to embroider. 2. Draw your mantra or design out in chalk first. The chalk didn't work great of the microfiber material I was using, so you might try a fabric pencil. 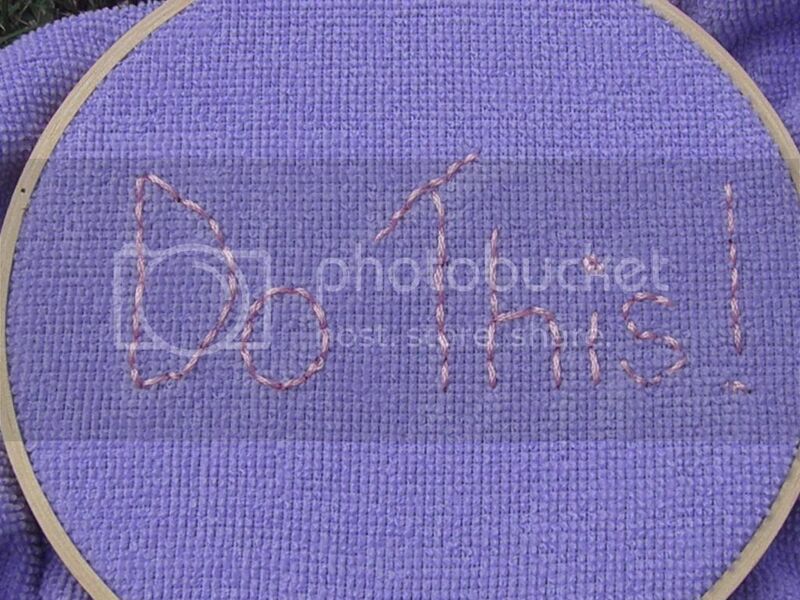 I would also suggest using cursive writing, as it's easier to connect all the lines when stitching. 3. 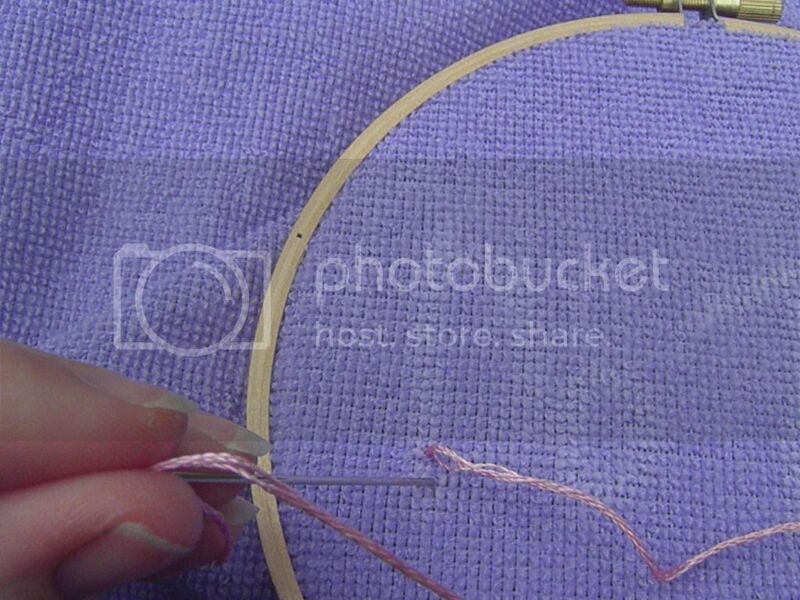 Backstitch along your penciled-in lines all the way to the end. 4. Voila! You have your own handstitched, meaningful workout towel. 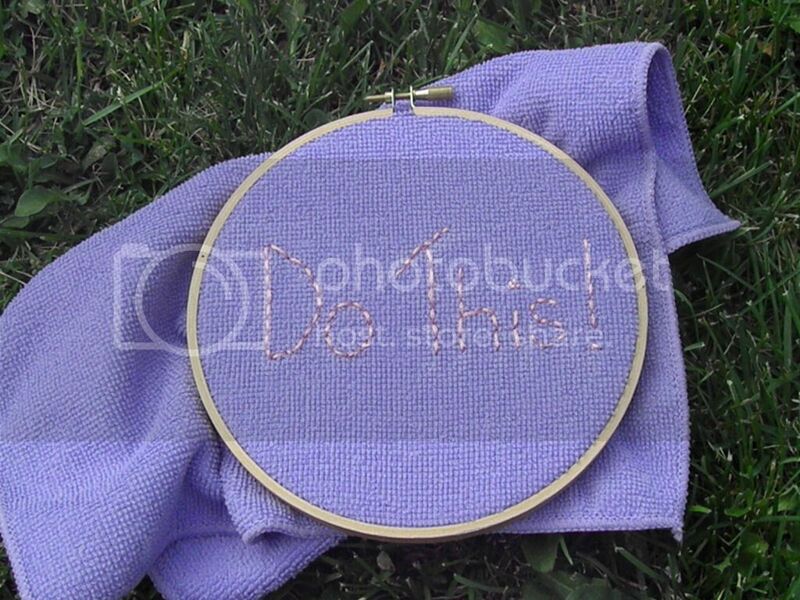 See, embroidery isn't something just for old ladies, ya know! I think a workout mantra that is in writing somehow is a much more potent motivator than a phrase you only keep in your head. You can't forget those words when they're smiling back at you from your machine. These colors make me so happy too. Enjoy! 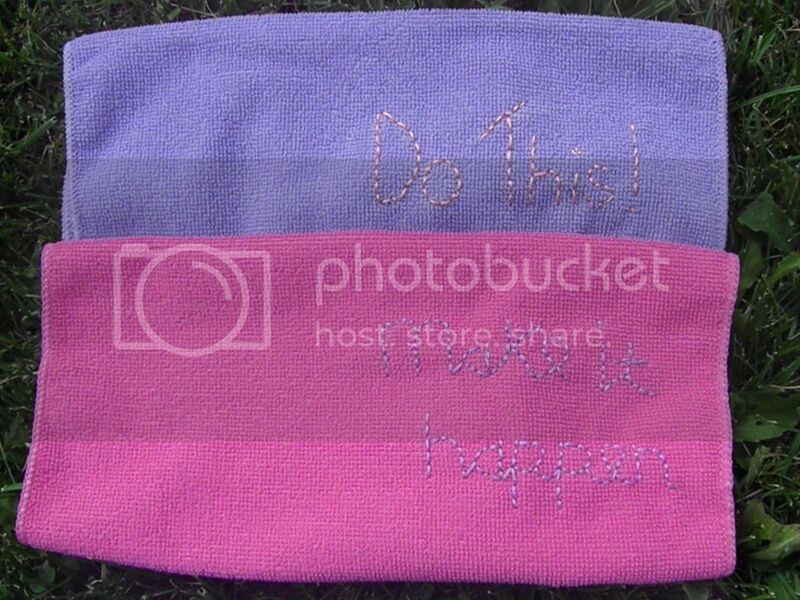 This is such a fantastic/cute idea! Love it!! Wow! This is so cool fingertip workout towels. Those are colorful & nice. Thanks Krista. I use them every day on the treadmill and they work great. The bright colors and motivating mantras definitely help my stamina.